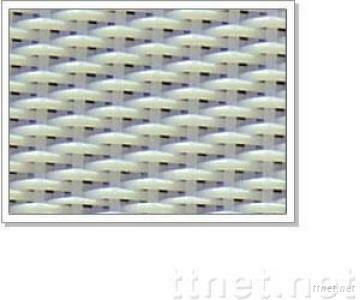 Polyester dryer woven mesh screen can be divided into three sheds and four sheds according to weaving patterns. It can be divided into one and half mesh, double layer mesh and flat dryer mesh according to the difference of fabric layer. It can be divided into inserting type, slotting type, slotting ring and spiral ring connecting types according to the different connecting types. Three-shed series one and half layer mesh is suitable for drying of paper under 70gram. Four-shed series double layer dryer screen is suitable for paper with a weight more than 70gram. 4106 round thread screen and flat thread screen are suitable for thin papers with weight under 60gram.